Redpath has a new contest! 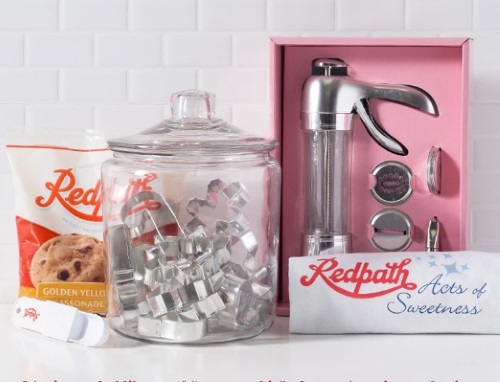 Enter to win their Cookie Baking Prize Pack at the link bew! Prize Pack includes KSP Perfect Cookie Press Set, Wilton Metal Cookie Cutter Set of 18, Anchor Hocking Heritage Hill Canister and an Acts of Sweetness Pack! Limit one entry per person. Contest closes November 11, 2016 at 4pm ET. Excludes Quebec.